Today was the big day that so many were waiting for, the day when Apple announces the new iPhone and announce it they did. Now it's time for me to tell you what I think about it. I will try to be as unbiased as possible in my writing. I like to say my issues with Apple are with the company and how they run certain things, not with the devices. 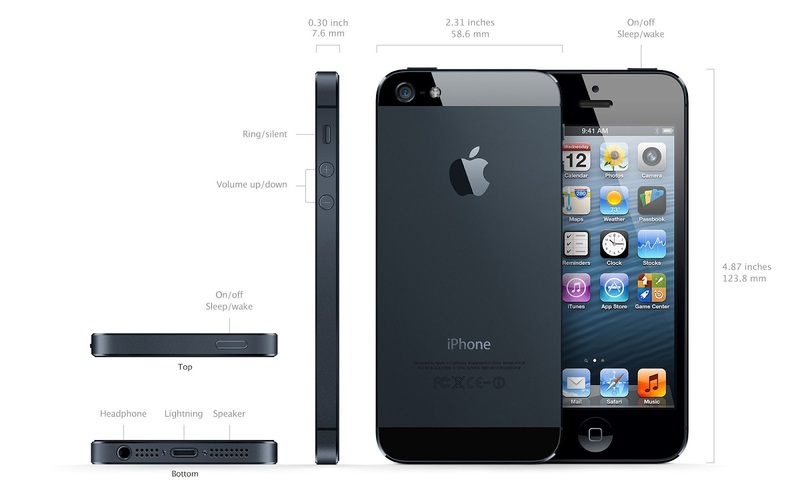 So here is the iPhone 5. For the first time ever, the iPhone has a larger screen. It's not any wider, it's just taller. I honestly can't say how that feels in the hand because I haven't tried one, but I can say tha tin some pictures it looks fine, in others it looks a little weird. With the longer screen comes a larger screen resolution. However, it will look exactly like the iPhone 4s and the 4 before it because it has the same pixels per inch. The resolution is actually lower than a lot of the phones the competition has, but since the screen is smaller, it still looks impressive. One thing that will be annoying with the new screen at first is that apps that are not made for the longer screen will show up with black bars on the top and bottom. Since the screen is not wider, they can't just zoom the app. It is the thinnest iPhone they've ever made and one of the thinnest phones ever made, although not quite the thinnest. 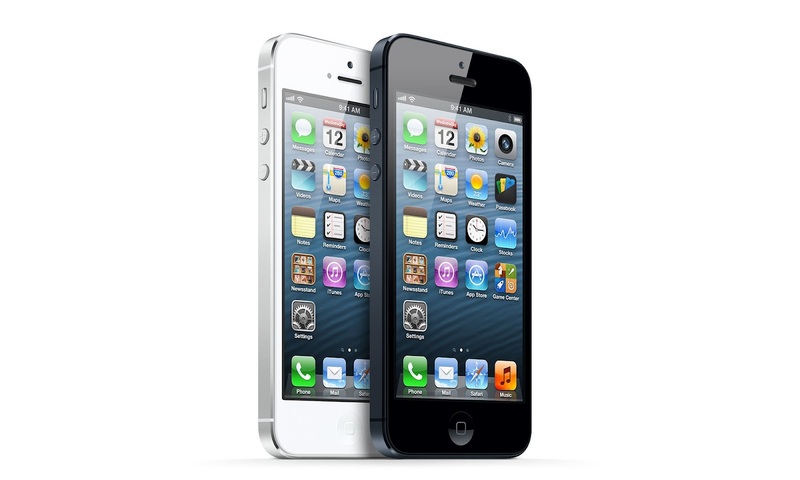 To me the overall design looks just like the iPhone 4 and 4S. But I'm sure that when you hold it and inspect it you will notice a big difference. The Body is made of aluminum and the front is all Glass. I do think the black one looks absolutely beautiful and I think this phone will bring the black iPhone back in style. I can't remember the last time I saw one. I guess they came up with Thunderbolt before so now they wanted Lighting? Probably should have gone the other way around but whatever. I love this connector, I really do, it's nice and small and best of all, it doesn't matter how you plug it in, it'll work. What I don't love is the fact that it's on the iPhone. Now, I'm not saying that as an Apple hater, I'm saying it as a consumer. There are SOOOOOO many products out there with iPod connectors and now just like that they've become somewhat useless. Now you have to go buy new ones. I don't think the 30 pin connector we are used to were a big problem. They are certainly thin enough that they would have worked fine on this iPhone. 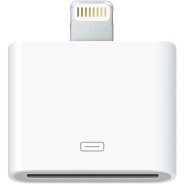 With that said, i can understand why Apple wouldn't want to be forced to use that connector all the time simply because of all the products out there. I mean, if you have a good idea then go for it. But it certainly will be inconvenient for a lot. 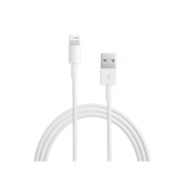 This connects to your 30 pin device and then you can connect your iPhone to it. This will be great for some devices, but I can certainly see this being completely useless on a lot of iPod stereo systems. But to be fair, it's probably time you upgrade to a bluetooth stereo system anyway. The Camera on the iPhone 5 is . . . . well. . . the same. I was rather disappointed with this one. Normally Apple seems to put a lot of work into that. Technically this camera is different, it's smaller and supposedly better glass and better image stabilization. But really it's still the same 8MP Camera from the 4S. Which don't get me wrong, it's still the best camera on a cell phone out there, except for maybe the Lumia 920. The Front facing camera did get an upgrade and it is now a 720P camera so you can do HD Facetime chats. The Rear camera can now also take pictures while recording video and it has a panorama mode. Both things the competition already does but it's certainly good to have those options. Although honestly they are both rather useless, at least to me, only time I use landscape is when I'm on vacation. But again, that's just me. The camera is supposed to be 40% faster, but I believe that's just due to the faster processor. Honestly I don't know if things like taking pictures while recording and panorama are iPhone 5 things or iOS 6 things. The iPhone 5 uses the A6 CPU. It's supposed to be 2 times faster than the A5 in performance and video. Not totally sure how it compares to the A5X on the iPad. Not much I can say about this till it's been tested out more. Yes, the new iPhone 5 will have LTE. Which will be awesome and all iPhone owners will finally understand why their Android loving friends have been talking about it for years now. The Battery life on the new iPhone is supposed to be as good as always even with LTE. That's the thing about Apple, we Android fans have been enjoying the beauty of LTE for years but we've been paying for it with very horrible battery life. Now things are a point where LTE doesn't affect battery life as much, so now Apple comes into the market. Nothing new to iOS 6. Nothing really worth mentioning anyway. You already know there will not be any Google Maps on it, but it will have Apple's own mapping service that will provide turn by turn directions. It will not come with a Youtube app but Google has already made a new iOS youtube app so that shouldn't be an issue either. You know I have to talk about the things I dislike about this phone. First thing I really dislike is the name. Where is the 5 coming from? It's not the 5th iPhone, it's the 6th. It's not running on some 5G network because there is no such thing right now. It's not the 5th design of it either, there was the original, then the 3G looked different and then the 3GS looked just like the 3G and then the 4 came out and that looked different but then the 4S looked just like the 4. So if we were going by design this would be the 4th. Basically the name makes no sense. That's really the only thing I would say I just hate. Other than that in my opinion the phone is a very nice phone. I'm sure it looks absolutely beautiful in person. I'm just very sad that it still has the same old iOS that I'm so bored with. I also feel like aside from the new larger screen and possibly nicer looks, there really wasn't anything that made this phone stand out. It's almost like the iPhone 4 was perfect for Apple and they decided from there on they'd just slowly fix little issues here and there. I mean, come on, they had a whole year to come up with something cool and new. Even for the iPhone 4s you had Siri, it wasn't what any of us was really expecting but at least it was something. What did they do all year besides find ways to sue everyone? Samsung may miss a lot of hits but at least they are swinging. There are a LOT of cool little things about the S3 that I love and the Stylus on the Note keeps getting better. They didn't get all their ideas from Apple, they are coming up with new things as well. Maybe that's Apples thing, in order to keep Samsung and others from copying their ideas, they'll just not make anything new! It's . . . . Magical!! Well, a lot of you will get this phone simply because it's the newest iPhone. I don't blame you, I'm the same way. But for those of you who want to put a little more thought into it, think about this. There is absolutely nothing that this phone can do that the 4S with iOS 6 wont be able to do. Unless I'm mistaken and Panorama and picture while video recording end up being an iPhone 5 only thing. Other than that, there is nothing. Will it be faster? Sure, but can you honestly say the iPhone 4S is slow? So, think about it. The way these networks keep trying to charge us more each year while at the same time giving us less, maybe signing another 2 year contract for this phone may not be worth it. If I was into iPhones and I had an upgrade coming and i could afford it, hek yea I'd get it, but I'm sick in my head and I have some weird technology obsession! Now if you ask me "Do you wish you could get it?" the answer is no. I got me a Galaxy S III this week and all bias aside there is no way I would trade that phone for an iPhone 5. But that's me. Ok I've wasted enough of your time, Thank You for reading, please make sure to leave your comments here, Google +, Facebook or Twitter. I'm always getting asked "What Tablet should I get?". A few months ago the answer for me was simple, "If you just want to do basic things like web browsing, email, some videos, read some books get a Kindle Fire. If you want to watch a lot of movies or play a lot of games and use all kinds of apps, then get an iPad". The iPad is a great tablet, but it really is a lot more than what a lot of people need. I don't like it when I see people that can't really afford an ipad getting one simply because they didn't know there were options. The Kindle Fire was a great little tablet (7 Inches) for a much more affordable price of $200. Then the Nexus 7 came out and for the same $200 it gave you so much more with it's quad core Tegra 3 Processor, but I still really wouldn't recommend that size if you want to watch a LOT of videos and I still can't recommend any Android tablet for a lot of gaming. Don't get me wrong, the Gaming world on Android is getting much better and the Nexus 7 can easily go head to head against the New iPad as far as Graphics, but the selection is still going to be weaker on Android, at least for now. 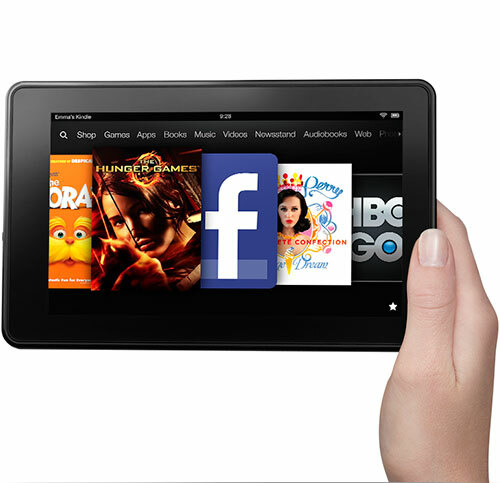 Earlier this week Amazon announced their new upgraded Kindle Fire and it's actually 3 new Tablets! The Kindle Fire is basically the old Kindle Fire but they made it 40% faster and best of all, they made it cheaper, it's now $160 for the 8GB tablet. Honestly, I'd still pay the extra $40 and go with a Nexus 7 if at all possible. Even with the speed boost, it just doesn't compare. The Kindle Fire HD is also a 7 inch tablet but the specs on this one are much nicer. It comes with a 1280X800 resolution which is the same as the Nexus 7 and higher than the original Fire (1024X600). It has a Dual Core processor but this processor should be just as good if not better than the Quad Core Tegra 3 processor. It also has Stereo speakers. It has Dual Antennae which means it will be able to download from the same network faster. It also contains an HD Front facing camera. I don't know the megapixels of it, they just call it HD. No rear camera but at least you'll be able to use it for Skype calls. The Fire HD comes in two versions, a 16GB and a 32GB. It does not have an SD Card slot so you can't really expand on that. Neither does the Nexus 7. The Fire HD sells for $200 for the 16GB version and $250 for the 32GB version. This one makes things more difficult for the Nexus 7. As far as Specs go, these two tablets are very similar. The fact that the Fire HD starts at $200 for the 16GB kind of makes it a better deal because the Nexus 7 is $250 for 16GB. Also the Fire HD has a 32GB Available while the Nexus 7 only goes up to 16GB. On the other hand, the Google Nexus 7 is pure Android the way Google meant it to be. It brings Jelly Bean with Project Butter which makes the tablet super smooth. It also has Google Now which I must admit I've come to depend on for certain things. The Kindle Fire (All of them) run a highly modified version of Android. I've said before that when you use a Kindle Fire you should just pretend that you don't have an Android tablet because Amazon has gone through a lot of trouble to make it look that way. This one will completely depend on you. If you want a full Android experience then go with a Nexus 7. If you want a something more like iOS where you are limited to what seems to work the best then the Amazon Kindle Fire HD may be the way to go. 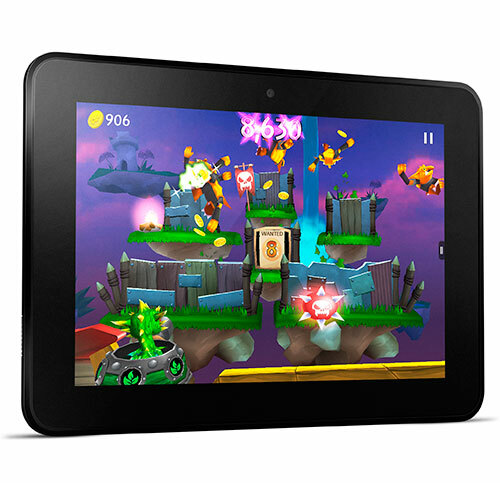 Ok, this one looks a lot like the Kindle Fire HD because it kind of is very much alike. But there are a few things that must be talked about. 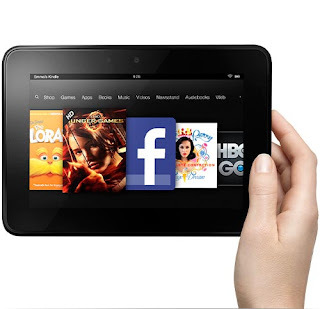 The Kindle Fire HD is a 7 Inch tablet, this one is a 8.9 inch tablet. So it's a bit larger than a 7 inch tablet but a little bit smaller than the 9.7 inch iPad. This version of the Kindle Fire HD also comes with a 1920 X 1200 resolution. Not quite as nice as the new iPads 2048 X 1536 but it's still larger than the 1920 X 1080 that most HD TVs are. It comes in a 16GB and a 32GB version as well. The 16GB version goes for $300 while the 32GB version goes for $370. . . Not sure why it's not $350. Now we are reaching the $300 price tag which I'm not too comfortable with, although the device you get is certainly worth the $300. Not sure I'd spend $70 on the extra 16GB. Some people feel the 7 inch factor is too small while the 10 inch factor is too big so maybe a 8.9 inch tablet will be worth it for these people. Personally, I still think the Nexus 7 is the best buy, but that's just a very personal opinion based on my love for the Nexus brand. I hope that if you have been looking for a cheaper tablet this has helped you out. If you are still not totally sure, you should probably wait a month or two and see if anything happens with the rumors of an ipad Mini. I have no idea if that will really happen and if it does I have no idea what the specs or price will be like, so I can't tell you to wait for it, but I figured you should at least know that there is a possibility. Of course as soon as any info is known for sure I will let you all know.